A press release came across my desk this morning that made me pause briefly. 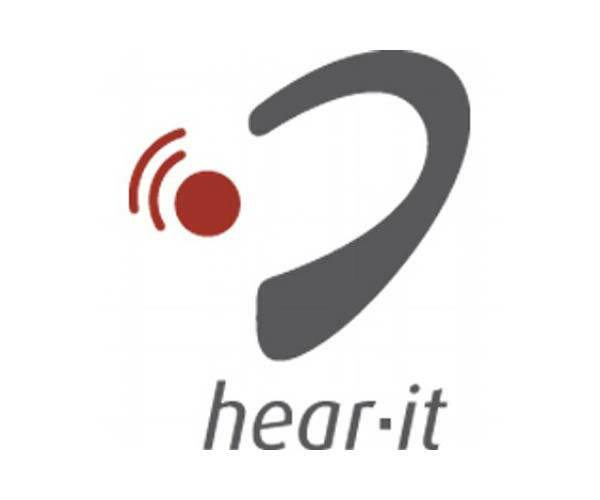 Hear-It AISBL (a non-profit organisation that works within the hearing loss arena) has released a new report on the prevalence of hearing loss. A staggering 466 million people worldwide suffer from disabling hearing loss. That is a rather frightening number; they say that one in three people over the age of 65 have problems that make a real difference to their lives. More than that though, they believe that number will rise to over 900 million by 2050. Considering the impact that hearing loss has on the broader health of people who suffer with it, those are pretty frightening figures. The report goes on to state that considering the impact of hearing loss, it is important that people have a hearing test on a regular basis to identify issues and get early treatment. You can read the press release in full below. Ballerup, Denmark, February 25, 2019 – A new, extensive report reveals the widespread impact that hearing loss is having across Europe. The report, Hearing Loss – Numbers and Costs from Hear-it AISBL, a non-profit organization, is based on analysis of hundreds of scientific studies from the last twenty years. Hearing loss is a growing challenge, 466 million people worldwide live with disabling hearing loss and it affects nearly one in three people over the age of 65.2 This figure is estimated to rise to 900 million people by 2050. These are stark figures. Hearing is essential for humans to communicate, socialize, learn, work and be entertained. It helps keep us safe and aware in our environment. Hearing loss, if left untreated, can increase the risk of health complications, including social isolation, more frequent hospitalizations, depression and dementia. While hearing loss can have a negative impact on day-to-day life, the new report demonstrates that the use of hearing aids and other hearing solutions help people live fulfilling lives. Despite this, many people who would benefit from hearing aids remain undiagnosed and untreated. Checking for hearing loss and seeking treatment is therefore critical in maintaining not only personal well-being but also assisting public health bodies in tackling increasing social challenges related to an ageing society in Europe. The report is issued in connection to World Hearing Day on March 3, a global awareness day from the World Health Organization (WHO). This year’s campaign encourages the public to check their hearing, which is the first step towards addressing hearing loss. “It’s worrying that too many people with hearing loss aren’t receiving treatment, especially as we know that through the advances in technology people often rediscover joys that they once lost. We encourage everyone to check their hearing, and treatment must be a much higher priority for people and public health bodies globally,” says Kim Ruberg, Secretary General of Hear-it AISBL. GN Hearing, a member of Hear-it and supporter of the report, welcomes the publication of Hearing Loss – Numbers and Costs: “The report is yet another demonstration of the importance of treating hearing loss to both people and society. At GN Hearing we work constantly to develop innovative hearing solutions that help people achieve their ambitions. We do this by listening to their needs and transforming hearing care for example by applying artificial intelligence and other advanced technologies to our solutions,” says Mikkel Hansen, Head of Global Medical Affairs of GN Hearing. For 150 years GN has been dedicated to making life sound better. Therefore, the company is committed to helping people identify and treat their hearing loss. The first step can be as simple as taking a quick online hearing test today.